The perfect supplement to any general cargo crane. 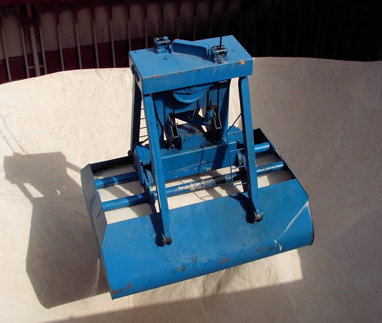 Whether actuated by remote control or pull cable, the opening process can be interrupted and continued several times in order to ensure bulk material is unloaded in a controlled manner and with reduced dust emission. Easy handling without any special accessories. No additional staff is needed as the the Grab can be opened by means of remote control. High-power rechargeable batteries with high charging capacity ensures dependable, continous use. Optional dust guard ensures environmental protection when handling fine-grained bulk goods. Various lip designs are available to suit the material/cargo to be handled.